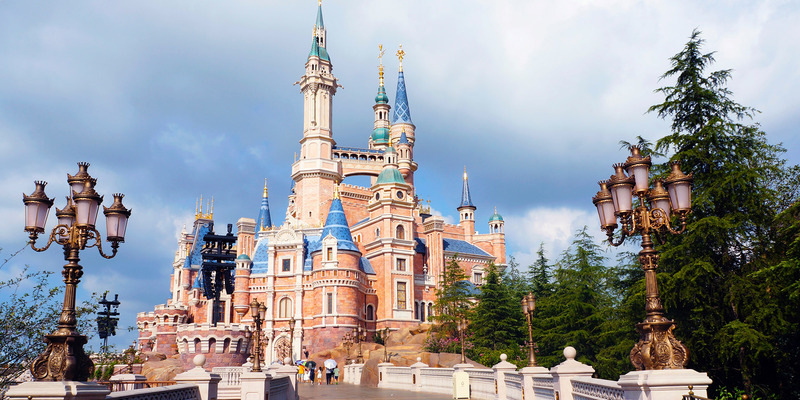 Normally a gambling getaway for mainland Chinese patrons, Macao has much to offer in the way of more wholesome treats for the youngsters. There’s more to a family holiday than simply avoiding the garish gaming resorts and keeping to Portuguese architecture. 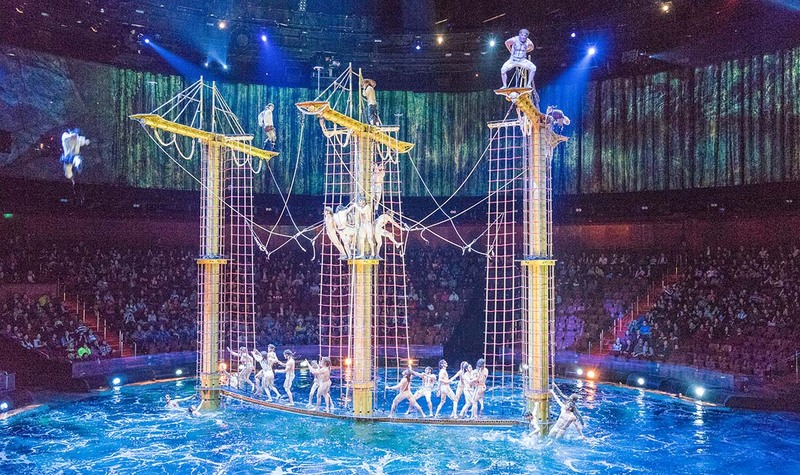 Modern Macao’s shores and shows cater to a wide range of audiences – whether they’re from the mainland or the US and whether they’re into fine dining or Shrek. A wander in the historic quarters of old Macao is highly recommended. 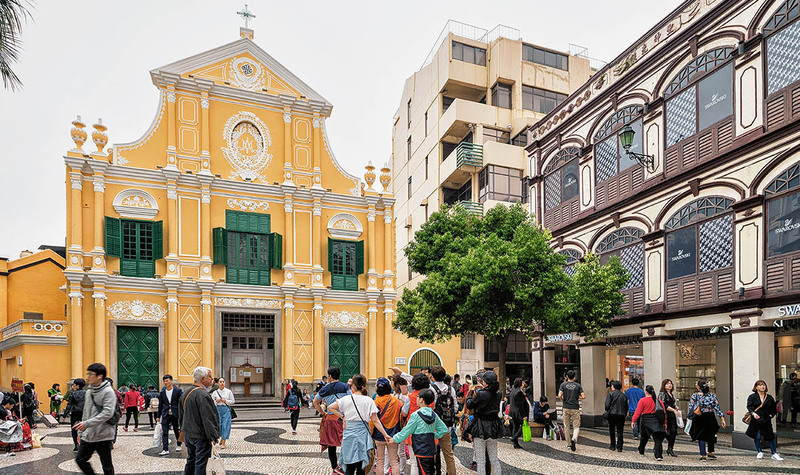 Starting from the historic center of Senado Square with its polished colonial Portuguese architecture and duty-free shops, Macao doesn’t really feel like China at all. 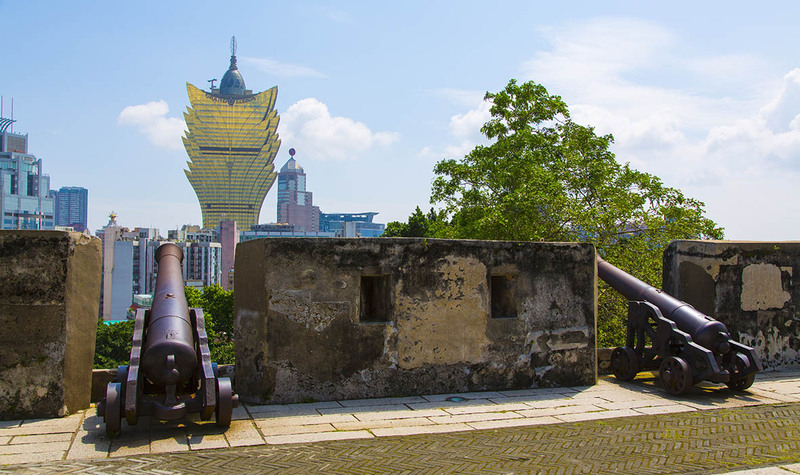 A visit to Monte Fort holds insights into Macau’s colonial history, but kids will probably be more interested in the fact that it kind of feels like a castle – a castle with whopping big cannons. ABOVE: Monte Fort cannons pointing at the Macao skyline. It may be known as the Las Vegas of the East, but Macao is a lot more wholesome than its twin in Nevada. The architecture makes for some fantastic views with the kids, one of the best being Macau Tower. Even if the children aren’t old enough to appreciate the design and field of skyscrapers, they’ll likely enjoy the thrilling high-speed glass elevator ride that goes up to a 764-foot observation deck. 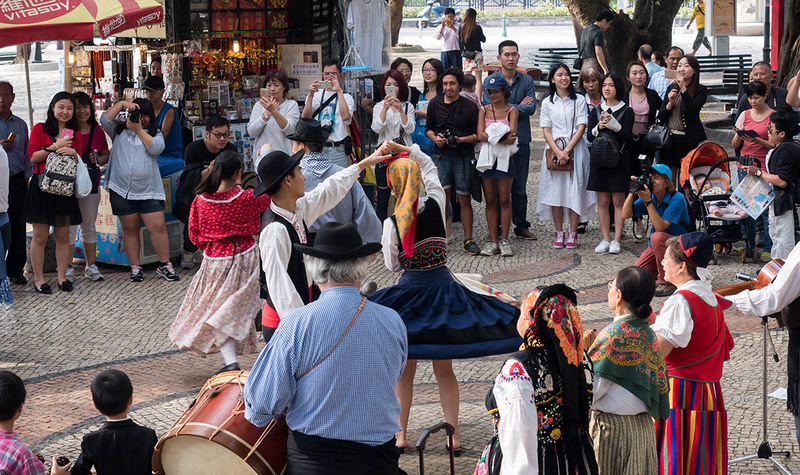 ABOVE: Portuguese traditional folk dance at A-Ma Temple. 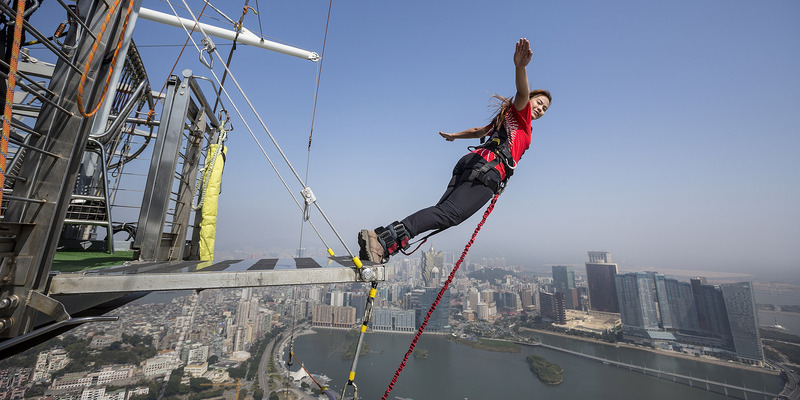 Once in the clouds of Macao tower, there are snacks at the panorama cafe, movies, and, for brave souls, the highest bungee jump in the world. For the more culturally minded, not far from the tower is the A-Ma Temple, where locals pray for luck and fortune from the Chinese sea goddess Mazu. 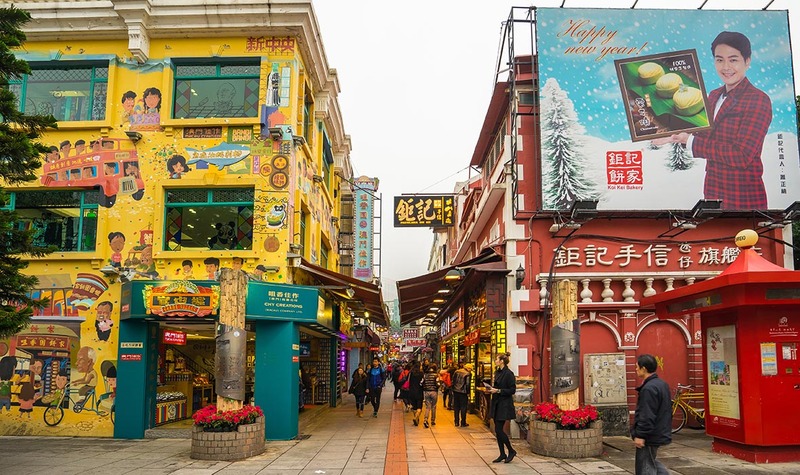 Traveling as a group in a foreign country can be a bit of a pain without a car, but Macau hotels provide a free bus network that can take the family to most of the interesting places on the peninsula. 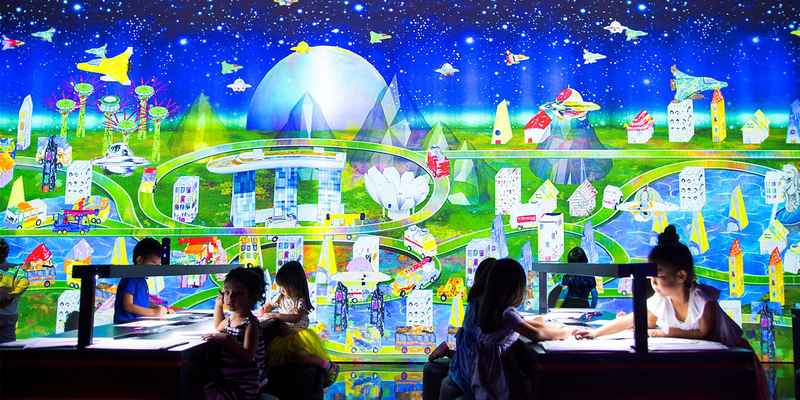 The southern areas of Taipa and Cotai across the water feature the the Kids Cavern and DreamWorks Experience at Cotai Strips Resorts, both obviously great for the youngsters. An older crew might enjoy a pedicab rickshaw to the colorful Taipa Village, with its colonial villas and cobblestone streets. 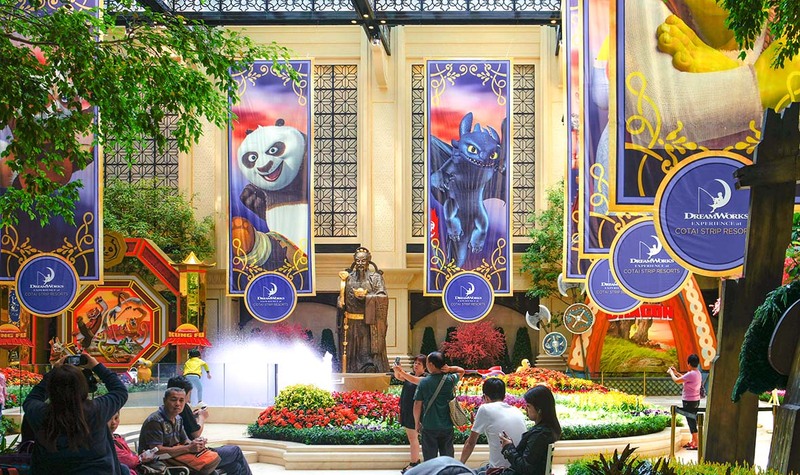 For families of nature lovers, Cotai is home to the Giant Panda Pavillion, where visitors can observe giant pandas. 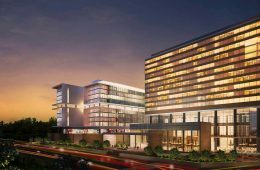 The more adventurous will want the Coloane Karting Track located just outside the sprawling Caesars Golf Macao. 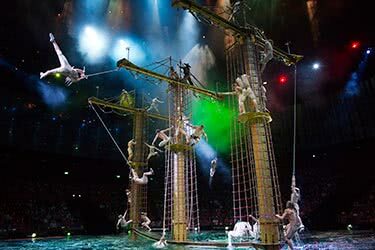 ABOVE: Acrobatics at the world-renowned House of Dancing Water. 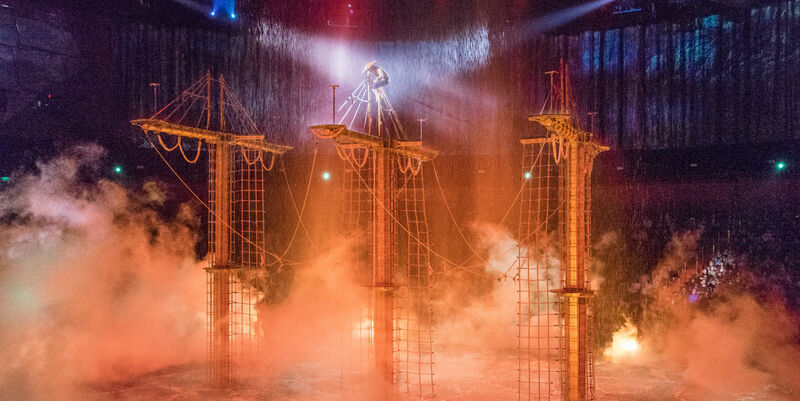 The House of Dancing Water in the massive City of Dreams hotel and casino complex is a 90-minute, unforgettable event showcasing a colorfully lit landscape of acrobatics and stunts. Parents can grab a break for a couple hours at Qube – with playgrounds of slides and climbing structures and a huge selection of video games for the kids. Also, Mom and Dad can take a romantic gondola ride in The Venetian Hotel, or, against better judgment, try their luck in the casino. Relaxation can be had at Hac Sa or Cheoc Van beaches. 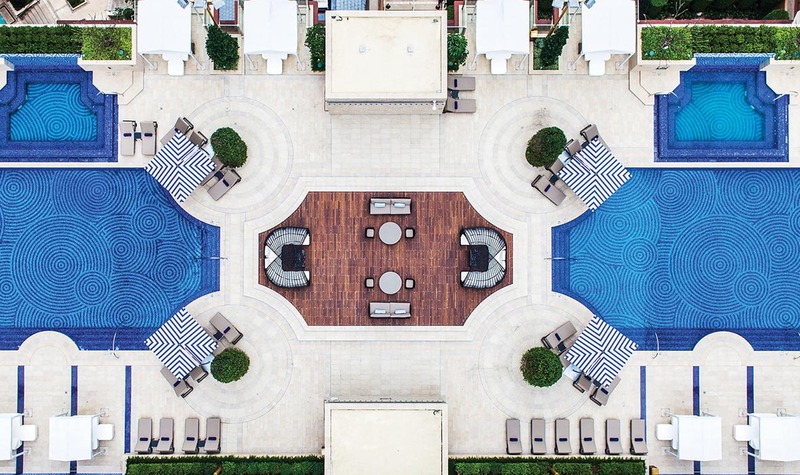 ABOVE: Pool at the Mandarin Oriental for the kids. The Mandarin Oriental, located on the waterfront, is one of the most exclusive hotels on the Macao Peninsula, with a chic, contemporary design and floor-to-ceiling views over the islands and skyline. On the Cotai Strip, the St. Regis Macao is at the very heart of super-glamorous Macao. Guests can enjoy international cuisine in The Manor, or cocktails at The St. Regis Bar. 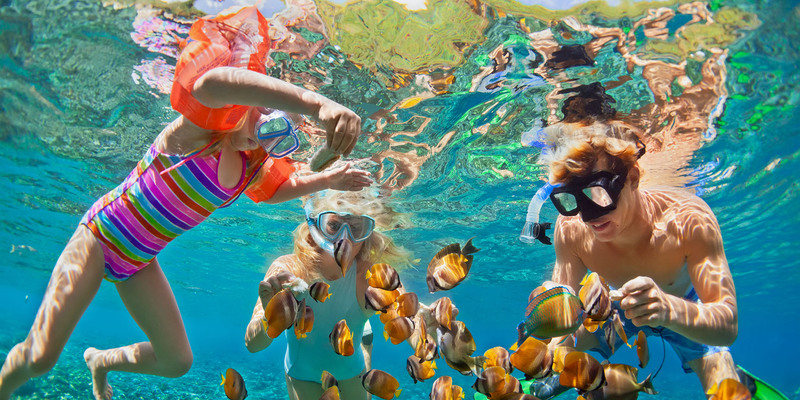 The hotel features family specific experiences, including photography tours and cooking classes. ABOVE: The Four Season on the Cotai Strip has five outdoor pools for the kids to run around and play. Also on the Cotai Strip, The Four Seasons Hotel Macao is an elegant family-friendly, non-gaming hotel. 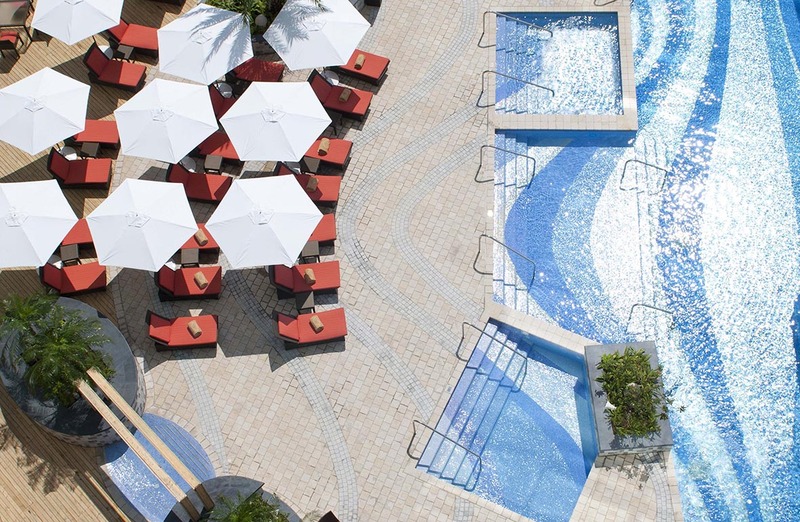 Amenities include four stylish restaurants, a bar and five outdoor pools. Cutting-edge spa and fitness facilities are also available. It’s also linked to The Venetian for further entertainment and dining. 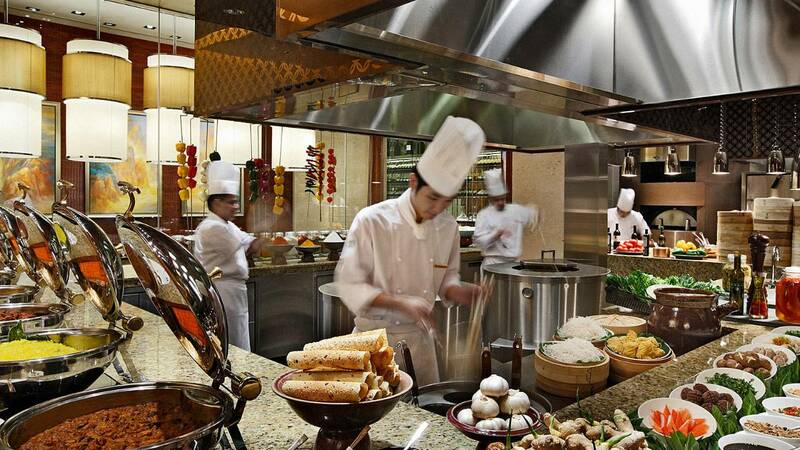 ABOVE: Busy kitchen at the Four Seasons. Further west is the Best Western Hotel Sun Sun. Now, this may not be in the Remote Lands ultra-luxe vein, but it is where, in 1984, a young actor, Jonathan Ke Quan, told Kate Capshaw, “Hey lady, you call him Doctor Jones!” Yeah, it’s the site where they filmed that China scene in Indiana Jones and the Temple of Doom at the Club Obi Wan. Now, there’s nothing there to commemorate that fact, but it’s interesting nonetheless. ABOVE: The Rua do Cunha food street, Taipa Island. The fusion tastes of Macanese cuisine – the simplicity and freshness of Cantonese, with the spices and herbs of Portugal – are high on every visitor’s list, and the endless hotels and resorts are happy to oblige. 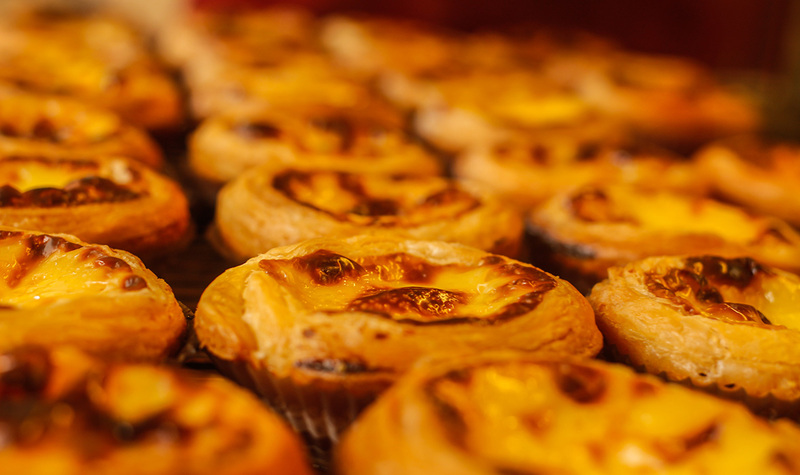 ABOVE: Egg tarts are the must-have Macao treat. Street-food – which in Macao has Michelin stars – in the walking streets of old Macao or Taipa Village will keep busy families supplied with delicious calories to burn. Macao is famous for its egg tarts, best found at Lord Stow’s Bakery, and visitors should try at least one pork chop bun (the Macanese hamburger) from food stalls or the original spot Sun Yin Kei. Youngsters will enjoy a morning “Shrekfast” at the Conrad Macao, where the breakfast banquet includes DreamWorks characters (in costume) for entertainment. 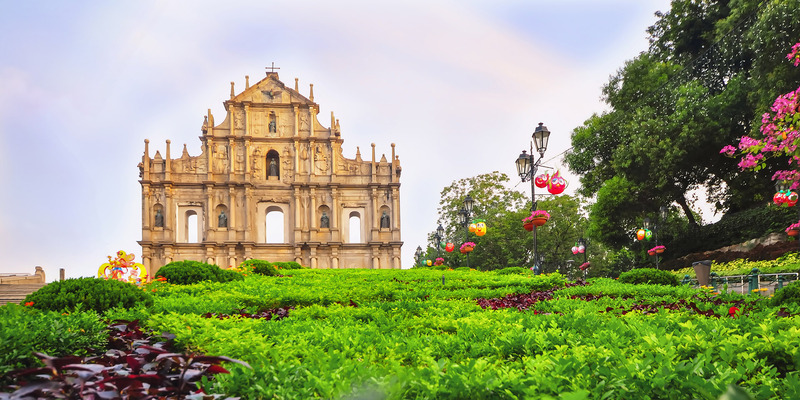 Excitement abounds in this fun-packed, three-day adventure across magical Macao. 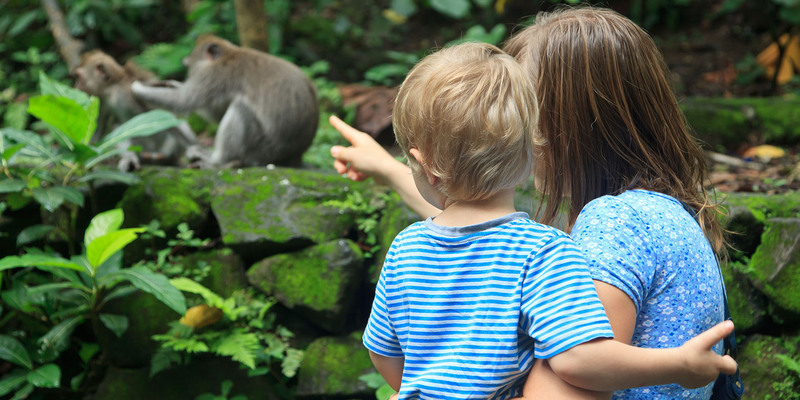 Stay at your choice of either the Mandarin Oriental or the Ritz-Carlton, both ideal for families of all ages, during a long-weekend of world-class entertainment, go karting and historical walks which will captivate and delight kids young and old. 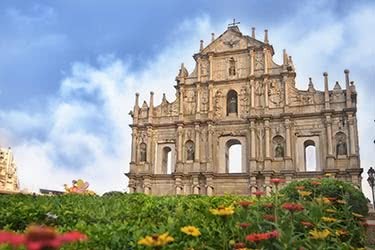 Explore the diverse and contrasting mix of European and Eastern culture of UNESCO World Heritage Site, Macao. 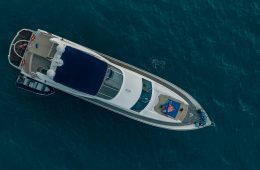 This three-day itinerary promises to thrill your senses and expand your mind, as you discover the beguiling history of the former Portuguese colony by day, and revel in the decadent distractions of the Las Vegas of the East by night.